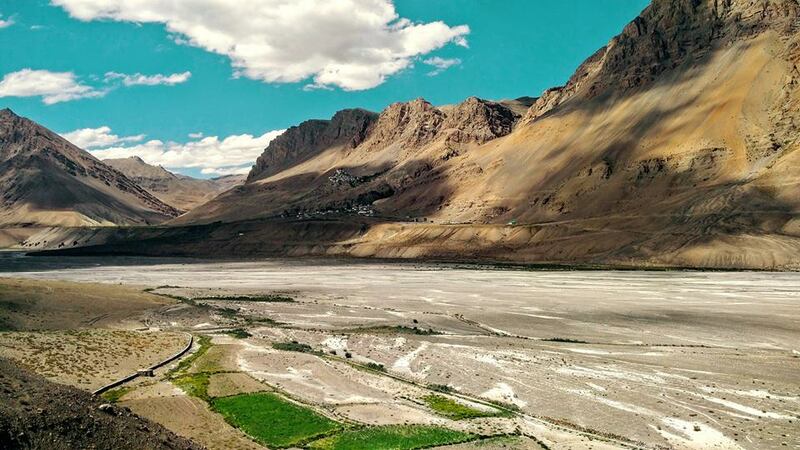 Spiti is the place where it's all about the journey and not the destination! 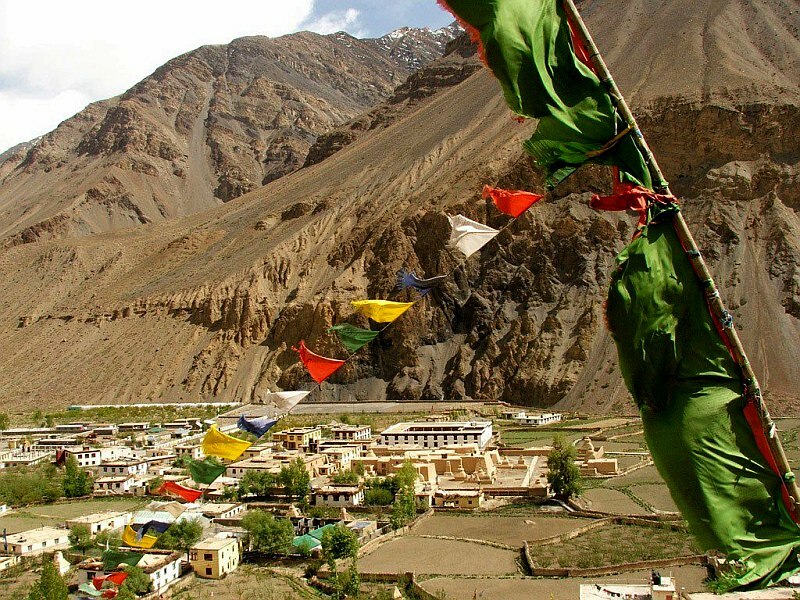 Spiti Valley Tour Package: Spiti is the land of monasteries and open landscapes preserved deep in the mighty Himalayas. Spiti and Pin Rivers making their way through the desert mountain valley positioned north-east in the hilly state of Himachal. 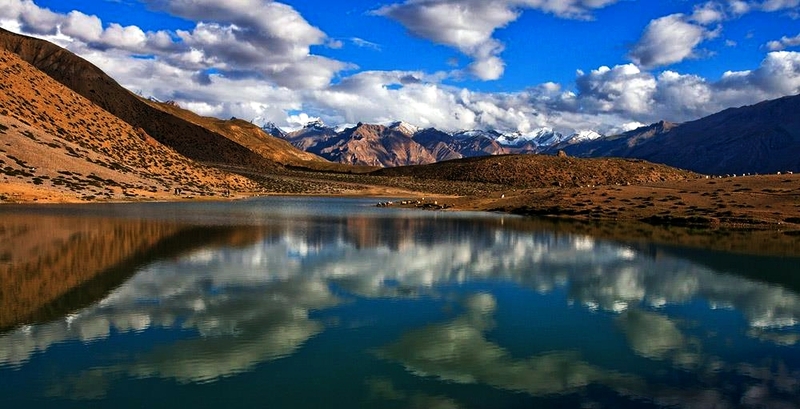 Spiti has entirely a different terrain as compared to its better half Lahaul. 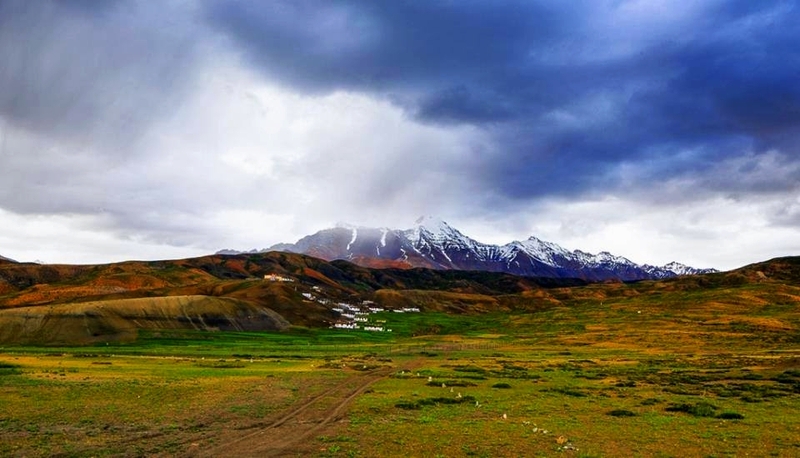 You might see a lot of greenery all around when in Lahaul, but as soon as you cover few kilometers beyond Kunzum Pass, an open valley with extended landscapes in the cold desert start revealing themselves to the visitors. If you didn’t ever get a chance to visit Ladakh in your lifetime, you could taste its culture and landscape in Spiti, because culturally and geographically this place isn’t very different from Ladakh. Cultural and traditional heritage this place holds is more than 1000 years old. Monasteries and stupas that stand unmoved in their places since centuries are the witnesses of a large natural turmoil that took place in the Greater Himalayas to give origin to this heavenly place. Snow-capped peaks rise on both banks of Spiti and Pin Rivers to spear the sky and protect its inhabitants from all uncalled for travesties. 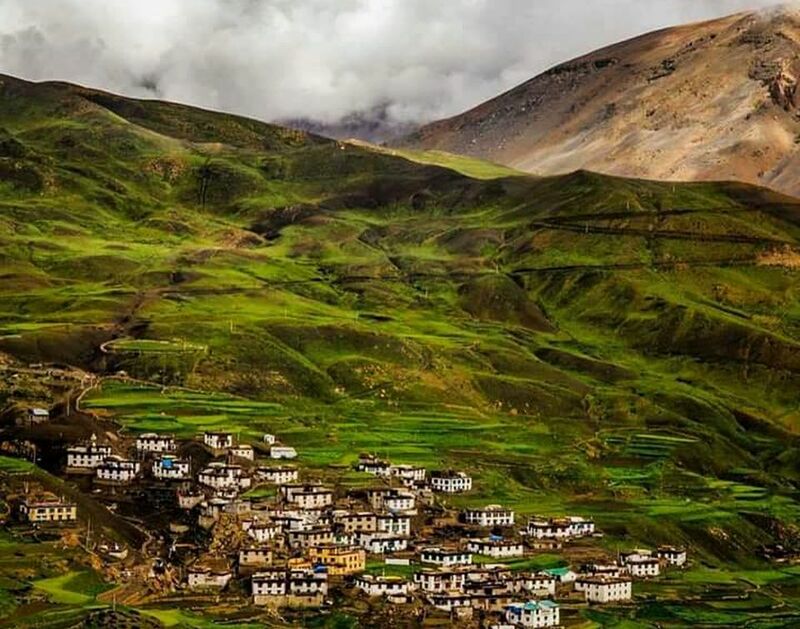 The priceless gift of mother nature in the form of pure environment, crystal clear water, fertile land, picturesque landscapes, century-old glaciers, and snowfields make Spiti a must-visit place on earth. High passes, lowlands, small and long flights of bridges connecting two ends of the open valley at places have been our companions for years on our journeys to this most beautiful land. We have been driving through these picture-perfect roads and Himalayan villages for years. Willing to share one of our most memorable travel experiences with you, we have designed this road trip in a way that you get a chance to explore Spiti inside out. From food to Spiti culture to extended natural landscapes, you will get an opportunity to live the life of the local people. Be it standing at ‘the world’s highest village’ or driving through ‘the world’s most treacherous road,’ you will experience it all firsthand and take home lovely memories and myriad adventure stories you have lived in real time. Start your journey from Chandigarh in the morning. We will take you on a joyride through the Himalayan Express Highway and NH 22 into the heart of the Himalayas. Initially, we drive along the low hills and eventually gain an altitude of 6500 feet. Beautiful road snaking through forests of pine, deodar and oak trees offers glimpses of beautiful small villages on the way. We reach Kotgarh by evening, which is our halt for the night. Overnight stay at a homestay amidst an orchard of apple and cherries. After breakfast, we take a narrow road descending through orchards of apples and cherries until we hit the NH 22 to drive along the right bank of Sutlej River. We drive along the Sutlej. The journey is full of excitement and thrill as gushing water paints the muddy river white. The mother nature reveals its first marvel as soon as we reach Taranda to see a deep gorge on the left-hand side of the road. The road roofed by multiple rock tunnels ushers you into Kinnaur Valley. The road takes you to the village of Kalpa. 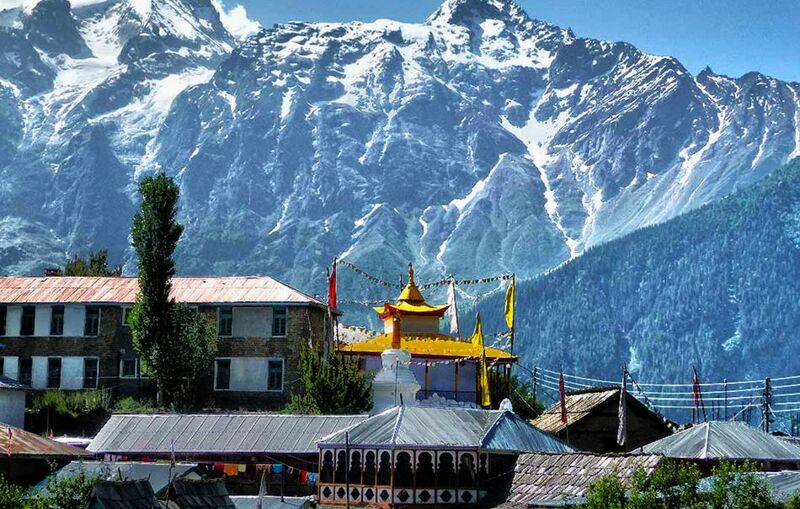 Kalpa is more famous for the views it offers of the Snow covered Kinner Kailash ranges. Overnight stay in a hotel at Kalpa. Today drive along the Sutlej till a place called Khab. Khab is the place where Sutlej and river Spiti meet. From here the road ascends till you reach an elevation of 12000 feet to a place called Nako. Nako is a picturesque village with amazing views of snow covered Manerang ranges. There is also a lake in the centre of the village. This place is a basecamp for climbing the highest peak in Himachal Rio Purgyal. We then proceed towards Tabo Village for the evening. Overnight stay in a homestay/guest house. Tabo has a monastery which is 1000 years old. Then from a place called Sichling, a road ascends towards Dhankar. Dhankar monastery is perched on the edge of a mountain, and the landscape looks just out of a fairy tale setting. After exploring the village and monastery, we head for Kaza and reach there by evening for an overnight stay at a hotel/homestay. In the morning, we explore Kaza market and then head for Key Monastery. After an enchanting interactive session with the monks at Key, we drive to the villages of Tashigang, Gette, and Kibber – which is one of the highest inhabited villages in the world. After walking in thin air and exploring one of the remotest villages in India, we head back on the same road to reach Kaza gate and start ascending on a curvy road towards Langza. 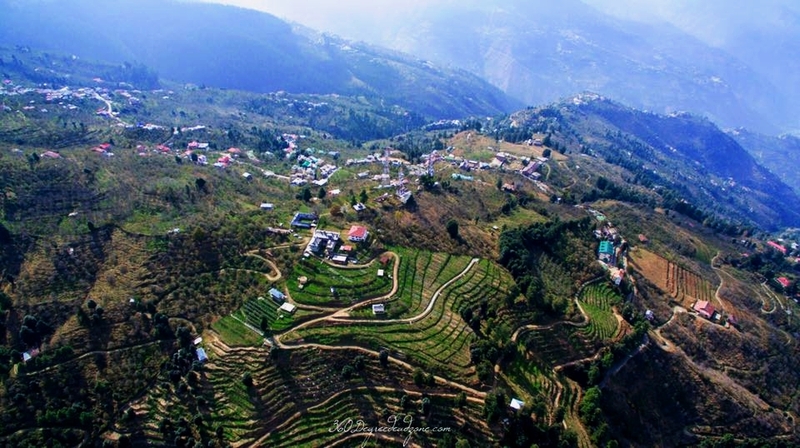 Multiple hairpin curves usher us into the village of Langza, which is the place for an overnight stay at a homestay. Get up to a pleasant, tranquil morning in Langza. It is an amazing morning experience here as the village has only a handful of houses. You won’t hear horns and sounds of vehicles running up and down the road as the area is devoid of any other habitation as far as you can see. After breakfast, we start our journey into wonderful desolate landscapes, and you are treated with amazing views of the mountains; the most prominent of these being the Chochogan Peak. You cross the villages of Gette and Hikkim and eventually reach Komic, which is the highest village in the world connected by road. After a visit to the village and monastery – one of the oldest in the region, we start our journey towards Demul, which is about 25 kms from Komic. We spend some time exploring the village and its surroundings, and then take a road leading to Lidang. Lidang is about 10 km from Kaza. We reach Kaza by evening, which is our place for an overnight stay at a hotel. We start the day early as it’s a journey across the 4550 m (15,060 ft) Kunzum Pass. Kunzum Pass connects the Spiti Valley with Lahaul. Kunzum pass has amazing views of the Chandrabhaga Ranges. It has a Hindu temple and a Buddhist Chorten dedicated to the same Goddess Kunzum Mata. After a short descent from the pass, we take a narrow road which goes to Chandra Taal. Chandra Taal – also known as the moon lake – is a beautiful lake at an altitude of 14100 ft nestled between mountain ranges of Chandra Bhaga and Kunzum top. This is one of the most beautiful destinations in the Himalayas. After enjoying beautiful views, we will settle for a lakeside overnight stay in tents at Chandra Taal. Experience the nature at its best in the morning at Chandra Taal. Then we drive toward Batal. After a short halt at Batal, we drive along the Chandra River till a place called Gramphoo. Then we drive up through lots of hairpin bends until we reach Rohtang Pass. You are treated with some amazing visuals of the snow-covered Lahaul Ranges on the way. Rohtang Pass is 3990 m ((13,050 ft) high. Manali is 49 km from here. We reach Manali by evening. Overnight stay at a hotel. Time to bid farewell. Drive to Chandigarh. Q: Is this trip for me? A: If you are crazily in love with the Himalayas, then this trip is for you. If you have never felt how driving through the world’s most treacherous road and standing on the world’s highest inhabited village feels like, then this trip is for you. Ear-deafening noise coming from furious Sutlej and Spiti Rivers and calmness and beauty of Chandra Taal will get you high. Q: How is weather out there? 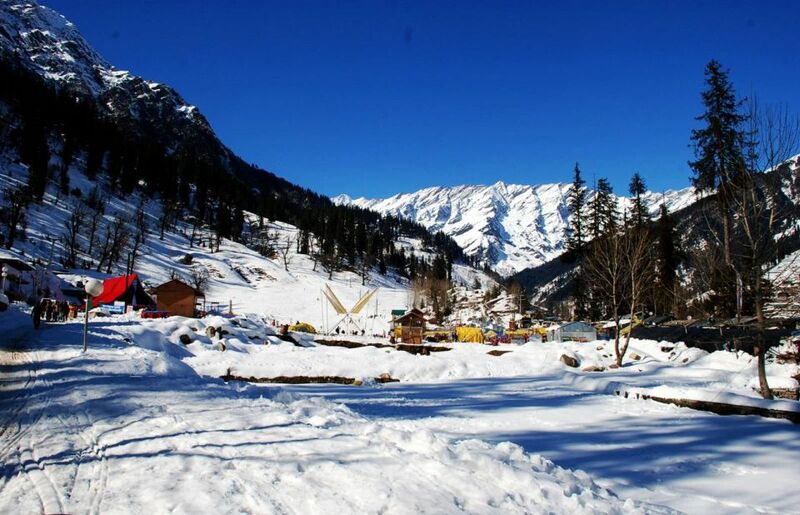 A: Temperatures might be as low as -2 °C or even lower while crossing Kunzum Pass and Rohtang Pass. And, the only mantra to enjoy this trip is to be well equipped. It’s perfectly fine to fill your bag with an extra pair of woolen socks, cap, warm jacket, and thermals. Q: Can I bring my spouse/friend with me? A: Of course, you can. We will be visiting many beautiful villages, lakes, and monasteries during the course of our journey; which implies, we will be having a wonderful time during the trip. Q: Is there any trekking involved in the trip? A: No. All the destinations you are visiting are accessible by the vehicle. At a couple of places, you might have to take short walks, but they cannot be categorized as treks. Anyone with a reasonable fitness level can do most of the activities during the trip. Q: What is the maximum altitude we will hit? Q: What about the level of physical fitness? A: A person with reasonable fitness can join the group because there is no trekking involved throughout the trip. Still, it is always good to be fit when going to high altitudes. Q: Does physical fitness protect against altitude sickness? A: As suggested it’s always good to be physically fit when you plant to go in high altitudes. But there is no evidence that people with high physical fitness level don’t fall prey to AMS (acute mountain sickness). Rather they might challenge themselves to exert more, hence increasing the probability of becoming AMS victim. Q: Can I drink alcohol at high altitude? A: Drinking alcohol at high altitudes is a practice you should avoid in all possibilities, because alcohol can obstruct your breathing, directly hampering acclimatization process of your body. Furthermore, alcohol may cause dehydration. Q: Should I take Diamox when going to high altitude? A: There is no need to take Diamox until or unless your body has enough time for acclimatization. We have planned the trip in stages to offer your body sufficient time for acclimatization during the ascent. Hence taking drugs in the mountains need to be avoided. You should consider taking Diamox only if you are gaining altitude very quickly (flying to high altitude locations), that too only if you have no history of allergy to the drug.